Standard Bank’s CEO Sim Tshabalala banked a R48.5m pay cheque in 2017. This is according to the group’s annual report for 2017. His salary was 9% more than the R44.5m reported in 2016. “In a challenging environment, Sim Tshabalala showed quiet but very influential leadership,” the report read. Tshabalala was commended for his unwavering commitment to implementing the group strategy. 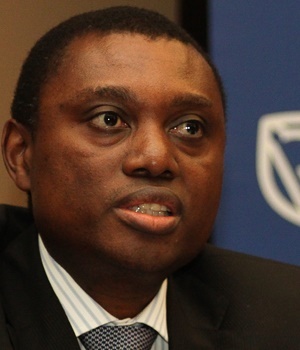 Tshabalala was appointed as Standard Bank’s sole CEO in September 2017. He previously shared the role of joint CEO with Ben Kruger, who took home pay of R46.5m. This is 5% more than the R44.45m he took home in 2016. Kruger was commended for working with Tshabalala in developing the group strategy. “The depth of Ben’s banking experience, his commercial pragmatism and thoughtful leadership have been instrumental in the group’s success over the past years,” the report read.